 Deep Blue Professional Triton Series Pump Triton3 - 850GPH / 7.2FT / 30W Optimized for reef, ponds & freshwater aquaria. Powerful head pressure and high flow throughput. Designed with integrated cooling chambers for use inline or fully submerged. Efficient, low energy consumption with UL listed grounded cord & silicon seals. Included Components: Inline pump cover. Submersible pump cover. Pre-filter sponge & strainer - 3/4 barbed adapter - 1 barbed adapter - Venturi adapter 120V - 60HZ. 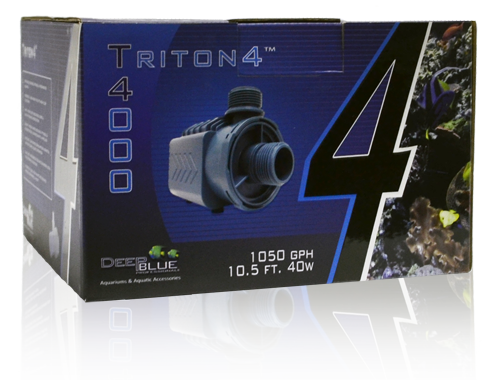 Deep Blue Professional Triton Series Pump Triton4 - 1050GPH / 10.5FT / 40W Optimized for reef, ponds & freshwater aquaria. Powerful head pressure and high flow throughput. Designed with integrated cooling chambers for use inline or fully submerged. Efficient, low energy consumption with UL listed grounded cord & silicon seals. Included Components: Inline pump cover. Submersible pump cover. Pre-filter sponge & strainer - 3/4 barbed adapter - 1 barbed adapter - Venturi adapter 120V - 60HZ. 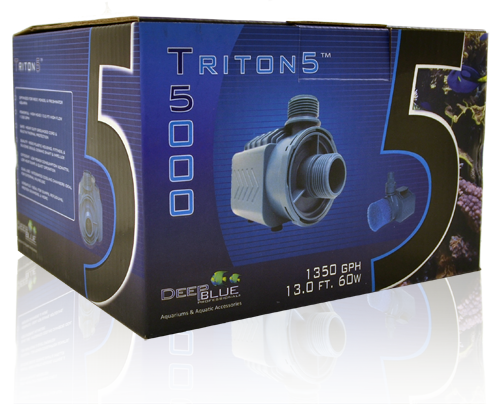 Deep Blue Professional Triton Series Pump Triton5 - 1350GPH / 13.0FT / 60W Optimized for reef, ponds & freshwater aquaria. Powerful head pressure and high flow throughput. Designed with integrated cooling chambers for use inline or fully submerged. Efficient, low energy consumption with UL listed grounded cord & silicon seals. Included Components: Inline pump cover. Submersible pump cover. Pre-filter sponge & strainer - 3/4 barbed adapter - 1 barbed adapter - Venturi adapter 120V - 60HZ. Deep Blue Professional DB Triton 3 Impeller Assembly (with shaft) Replacement impeller assembly includes ceramic shaft and rubber bushings. Deep Blue Professional DB Triton 4 Impeller Assembly (with shaft) Replacement impeller assembly includes ceramic shaft and rubber bushings. Deep Blue Professional DB Triton 5 Impeller Assembly (with shaft) Replacement impeller assembly includes ceramic shaft and rubber bushings.